Passion is what drives us to do our best work. Without it, we lack the motivation to get things done, let alone persist and succeed. When passion is channeled through the right pursuit, however, passion breeds purpose...and inevitably, success for you and everyone around you. For most people, survival dictates our work, and we pursue money at the expense of self- fulfillment. Small wonder that so many of us experience dissatisfaction with work and life. But here’s the good news: it doesn’t have to be that way! You can discover your passion and your life’s work. Tosin Adewumi is the author of online resources: Passion Reveals Purpose, The All-Round You blog and the eBook "Wisdom Is Profitable: Wisdom for Everyday People on Everyday Issues". An accomplished musician and a passionate writer. He is an IT Consultant with Bachelor of Information Systems and a post-graduate degree in eCommerce. An alumnus of Griffith University Conservatorium of Music and the Founder and Music Director of the internationally recognized music recording group Brisbane City Gospel Choir from Australia. 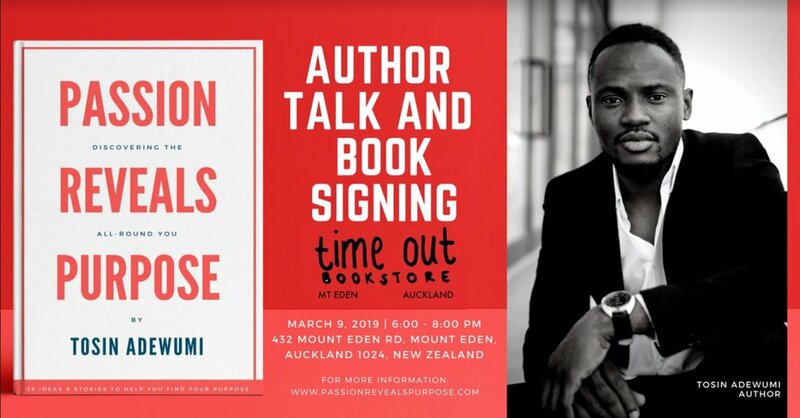 Tosin's passion is to inspire people to discover their life's purpose and do their most fulfilling and meaningful life's work.